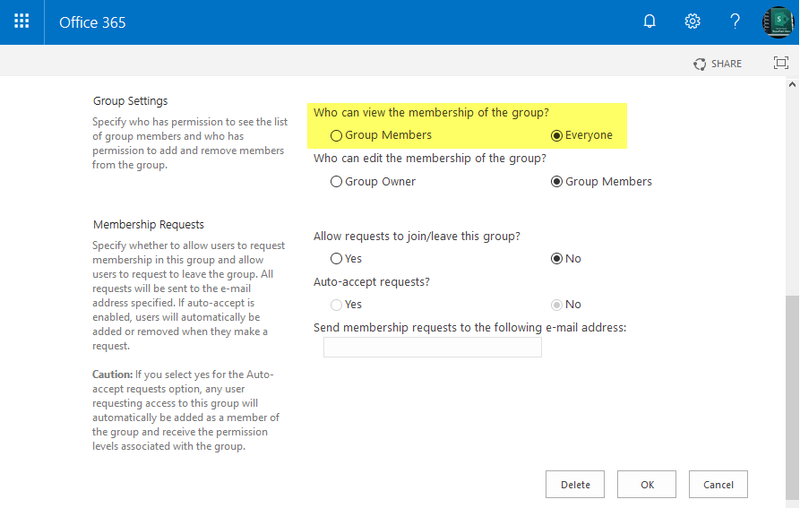 How to Set Who Can View Group Membership to Everyone in SharePoint Online? Follow these steps to change the who can view group membership in SharePoint Online. Under "Group Settings", Set "Who can view the membership of the group? to "Everyone". Hit OK to save your changes. #Iterate through each Group - Exclude SharePoint Online System Groups!